Who is luckier than me to fulfill my dream? I have got a hard-won chance to see my favorite silk in Suzhou couples of days ago. 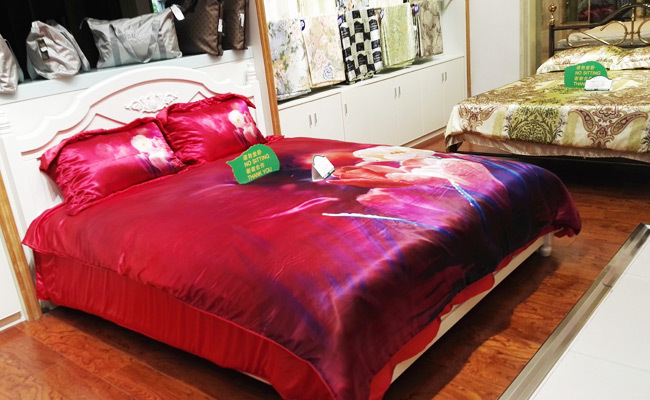 Suzhou has been a major place to offer silk products for the whole world, so I think that I have earned a lot to have the silk tour in this cultural city. 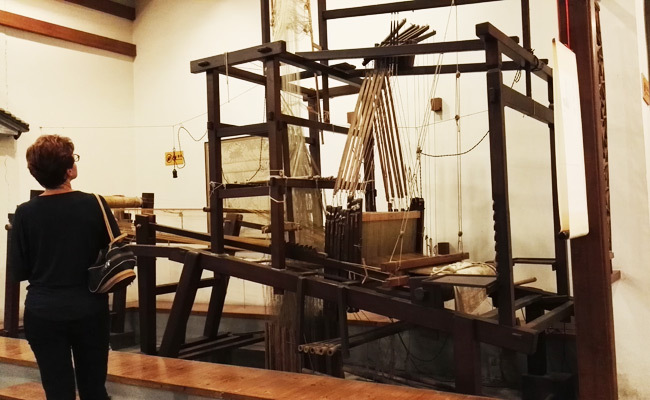 For a silk-liker and Chinese-culture-lover like me, I highly recommended you to visit both Suzhou Silk Museum and Suzhou No. 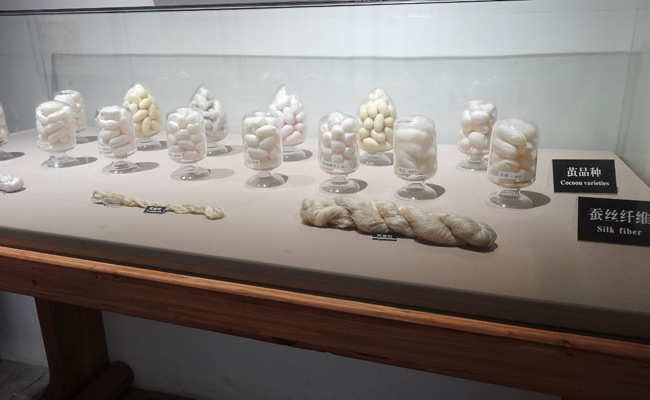 1 Silk Factory, since the brilliant culture, history, the real silkworm babies, and a live of silk making were so amazing and unforgettable in my life. I visited Suzhou Silk Museum in the morning and there are only a few visitors. I would call this museum a dreamlike place, for its smooth look imitating the scene of drying silks are so beautiful with the fountain. 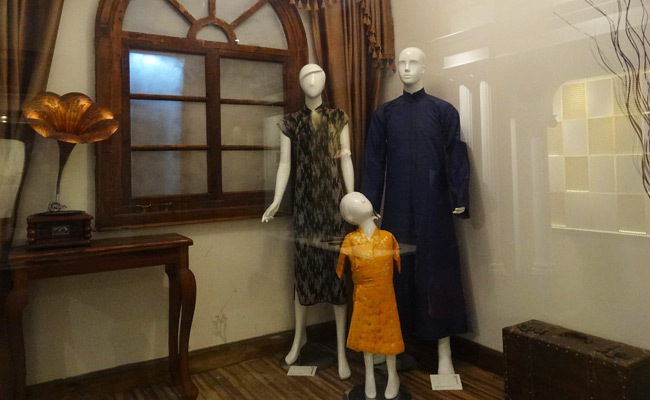 Visiting indications were very clear in the museum, and I visited the Ancient Silk Exhibition first to see the centuries-long cultural relics of silks. WOW! A great number of broken silk relics of hundreds, thousands of years were exhibited and the patterns and colors could be seen clearly. I even have seen a pair of winter boots, which made me admire the high skill and wisdom of ancient Chinese people. I guess they must be very warm. So good! And the embroidered pouches as well as the clothes of long history were still very new and I could see the fashionable and exquisite patterns. 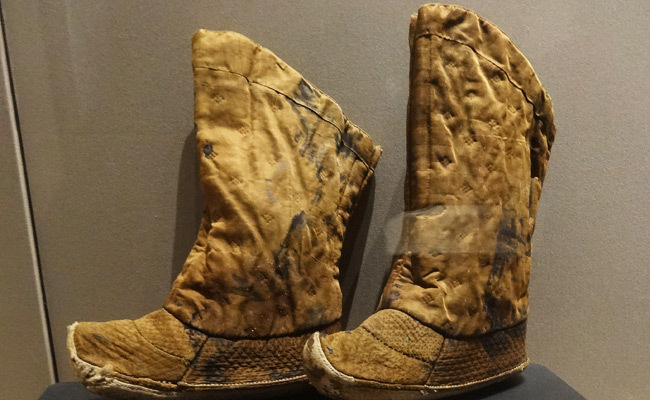 A Pair of Ancient Boots – Must Be Very Warm! I’ve never seen such a fantastic land of mulberry trees. 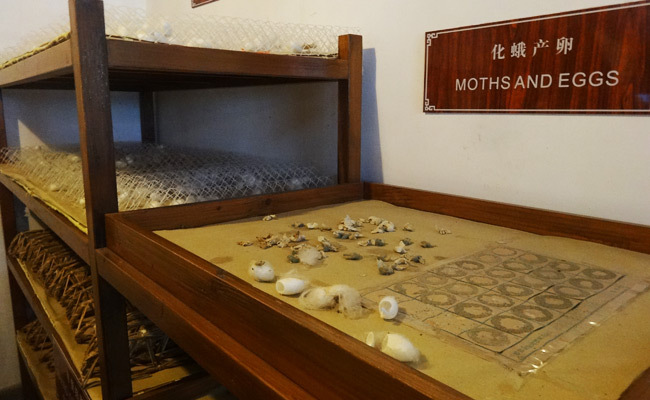 Along the corridor, there were several vivid scenes of a family making silk by cultivating silkworms. Specimens of the worms in diverse phases and silk cocoons were there with the specific introduction. 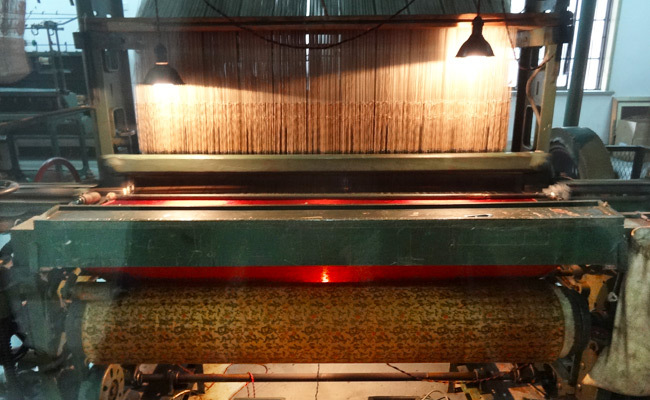 Besides, I surprisingly saw a real large weaving machine that still can work. 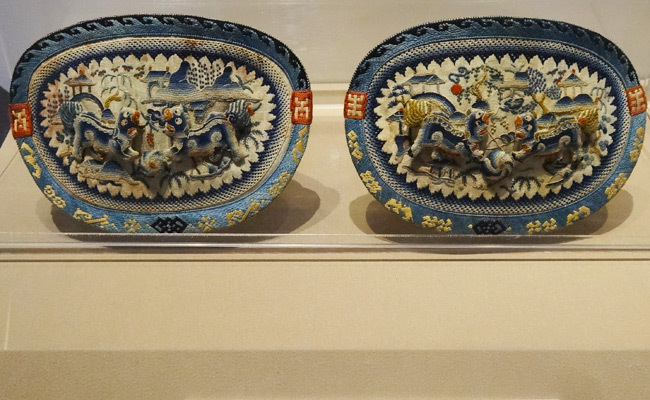 Not until I returned myself, a series of excellent silk cloths and decorations of the Republic of China period, like the qipaos and purses of ladies, long gowns of children and gentlemen filled my eyes completely… Not over! There I have also enjoyed rich silk and embroidered works of paintings and displaying ornaments. I have to say that China perfectly is the master of silk. Then in the Modern Silk Exhibition hall, the history introduction of silk spread into the western countries and the whole world was showed exactly with the words, pictures and the samples of silk products of that time. 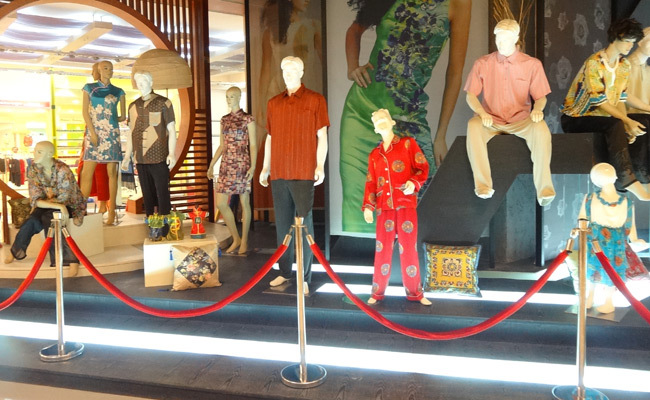 Moreover, numerous shining silk clothes, scarves, piece goods, etc. were all places well to treat my eyes. A big surprise was that I have first seen a bronze iron of hundreds of years. A novelty for me! After enjoying such abundant beautiful silk items, I was super eager to see the real process of silk making. So I directly moved to Suzhou No. 1 Silk Factory. This famous silk factory in a quiet area in Suzhou is fabulous. 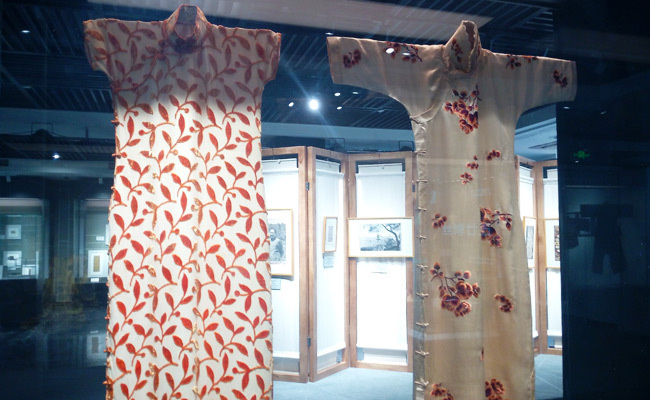 Before entering the workshop area, I watched the historical brief of Suzhou silk from the ancient times and even the authentic costume of an emperor in Qing dynasty and other old coats, middle-skirts, trousers and other dressings. 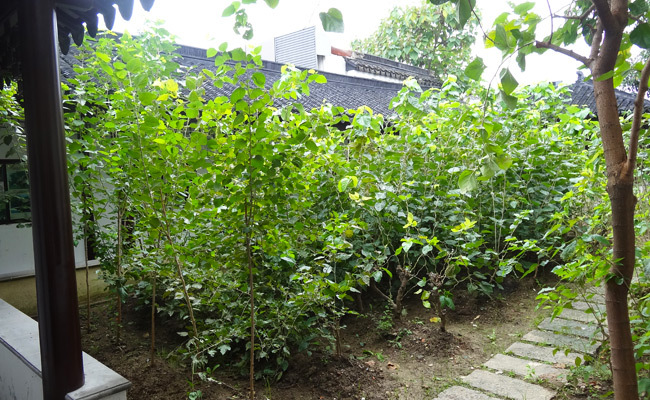 Moving forward, I saw some simulative scenes of ancient Suzhou people making silk in their own house. A good moment to imagine life in the past! Several steps away, there were some large weaving machines, and I walked up along the wooden boards to see them closely. 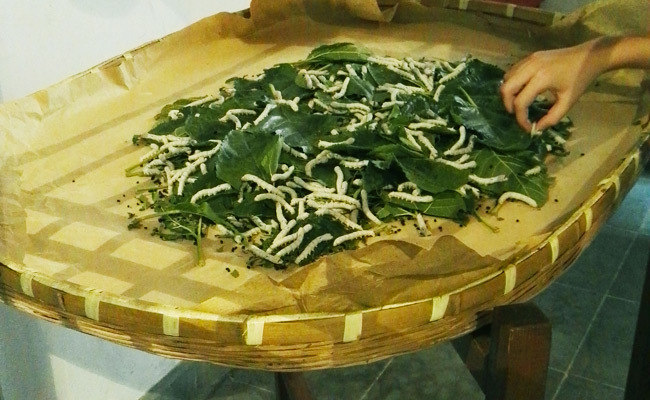 The real animated silkworm babies were eating or sleeping on the verdant beds of mulberry leaves. Actually I was a little afraid at first since I have never seen that before. But when the travelers there began touching the worms and taking photos with them, I gradually calmed down and wondered how these so tiny lives make the so gorgeous silk items. So I continued! Also, real alive silk cocoons of different sections were showed in multiple layers, and I witnessed the process of the moths laying eggs on the paperboard, which was unbelievable! In the workshop area, people were all like curious little kids. In the cocoons grading part, the staff woman was selecting the better cocoons for the later steps, and I picked the better whiter one to feel, which was really white and smooth. Boiling the silk cocoons is interesting. 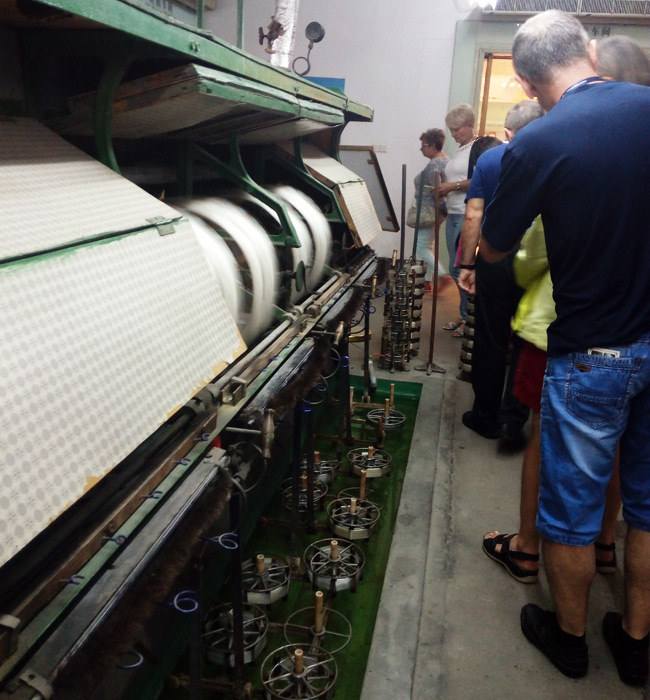 All the visitors walked closely to the machine to see the cocoons rolling in the hot water and the extremely thin silk threads circling together on the wheels through the components. There was another set of machines working to make these wheels of threads into thicker ones and later into raw silk. The next couples of minutes were spectacular, since in the big glass room, several women were making real brocades with the raw silk that were processed with the machine seen minutes before. Coming out of the workshop, I luckily enjoyed the live scene of making the silk quilt from the thin silk cloth into an entire one. 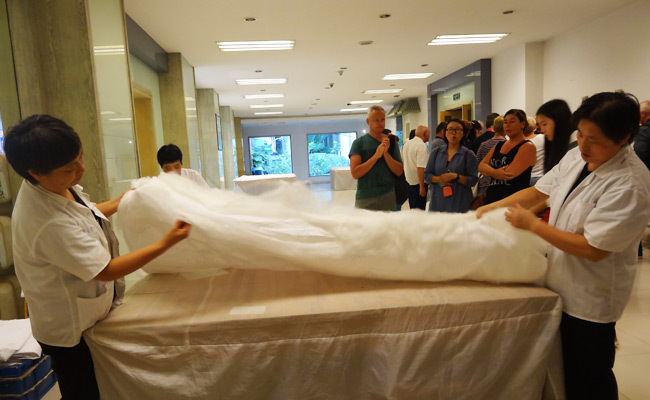 Not only I, most visitors showed great interest in the pure white silk treasure and touched it. Super soft, smooth, and light… But no exact words could describe the magical feeling. And I just wanted to have one same great silk quilt at home. In the bedding article exhibiting area, my eyes were pleased by the great number of wonderful silk items too much. Patterns on the quilts and sheets were very beautiful. 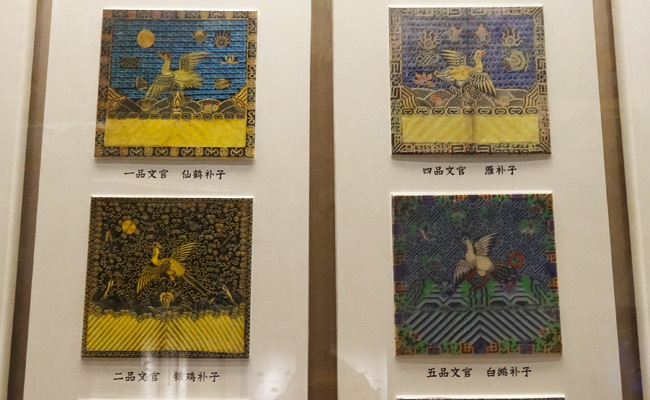 However, I was so doubtful about the especially light little pillow with lovely patterns on the silk cloth. Babies must have a sweet sleep with this comfortable pillow. More surprises were prepared on the next part! A sea of shining silk articles, like pajamas, dresses, T-shirts, blouses, pants, scarves, bags, vivid silk painting of animals, sightseeing, etc. 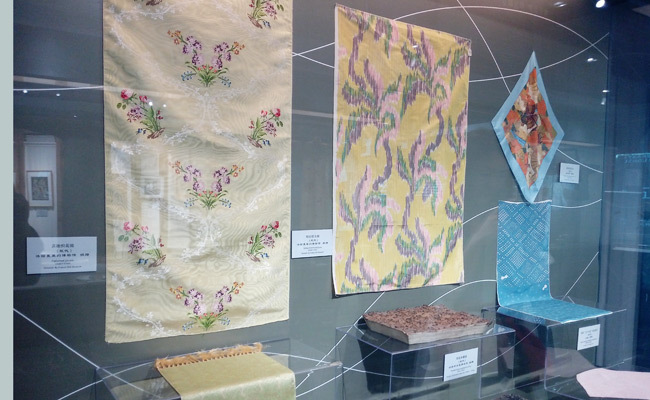 and all types of silk items were perfectly exhibited there in the silk factory. 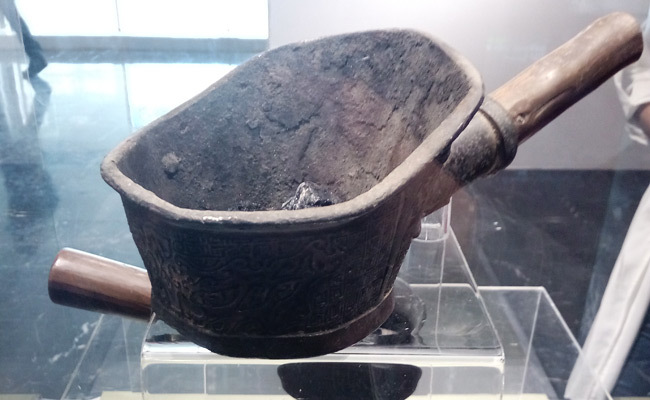 The scenes in Suzhou Silk Museum and Suzhou No. 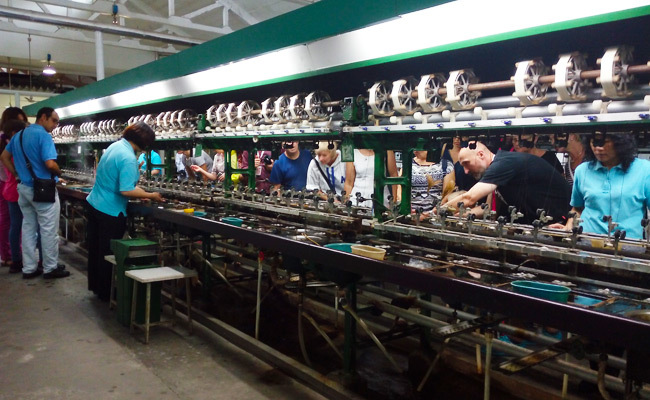 1 Silk Factory are still very vivid in my mind, and I will certainly praise this silk culture tour perfect! If I had the second chance to go these two places again, I’d definitely say YES! But if must choose one from the two, I would visit Suzhou No. 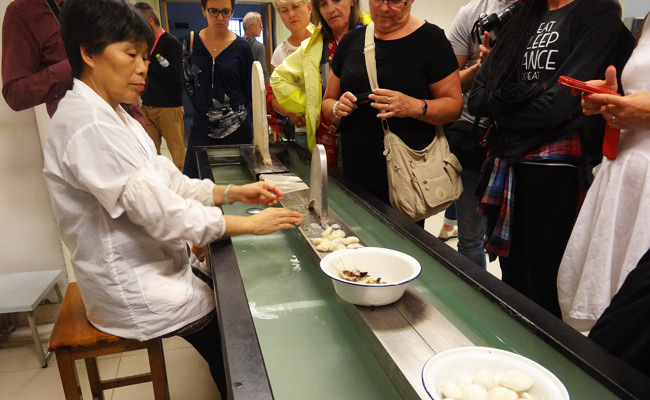 1 Silk Factory for the real silkworms, amazing process of silk making, the making of soft silk quilt, and sparkling silk exhibitions. 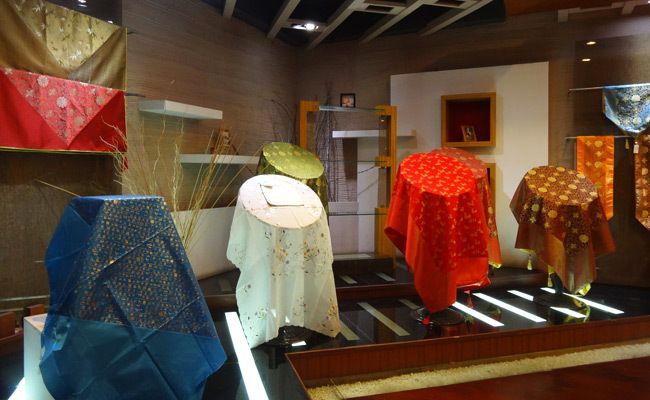 If you interested in the silk culture in Suzhou and China, please go and take 1 Day Suzhou City Highlights Tour. Or, you can customize your Suzhou tour with China Discovery. 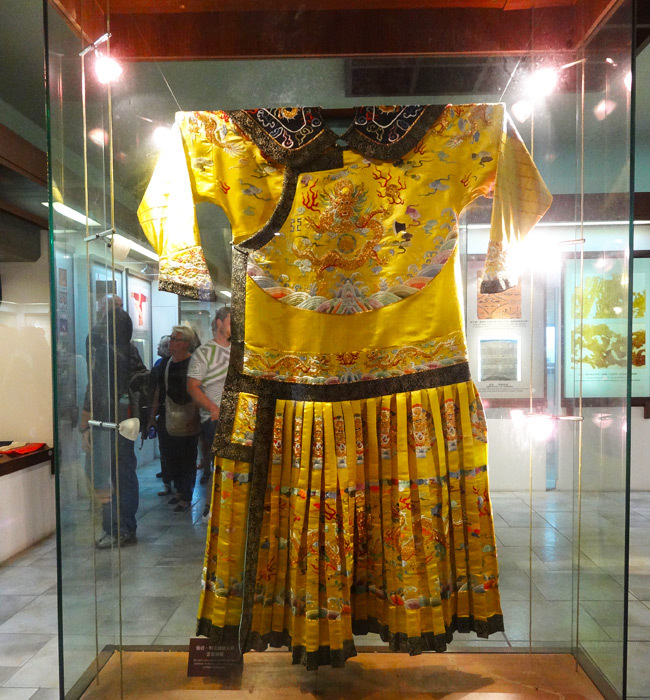 This entry was posted in suzhou tour and tagged Chinese Culture, Chinese Silk, Suzhou No. 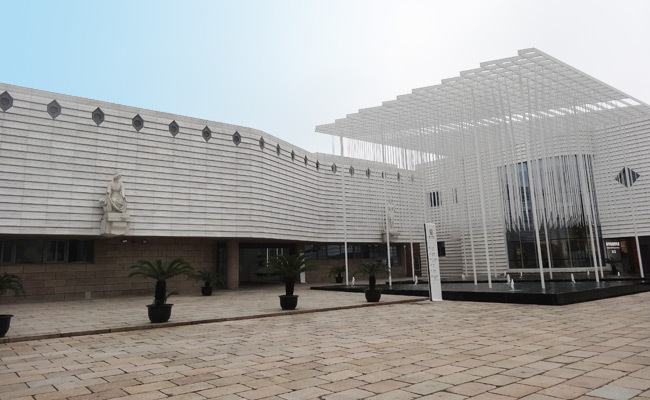 1 Silk Factory, Suzhou Silk Museum, Suzhou Tour by Travel Expert. Bookmark the permalink.